The FBI is investigating the Russian involvement in the 2016 U.S. election. When FBI director James Comey made that announcement he also said that the agency would be looking into any possibilities of collusion with the 2016 Trump Presidential campaign. It is as likely as not that the FBI will find involvement on the part of the campaign. If they do find evidence that incriminates Mr. Trump and if that evidence meets the criteria set forth in the U.S. Constitution then it could be used to begin impeachment proceedings. I am not suggesting that he be impeached but rather am responding to several requests from readers who have asked for details on how the process works. Impeachment of a President is serious and not an easy thing to do. First, the Republicans control congress and you can be assured that they will do everything possible to avoid such a move. Democrats have virtually no power when it comes to impeaching the President because in this congress they are in a distinct minority. Most folks who toss the term around don’t fully understand it or why it is so rarely applied. In all of our nation’s history, not a single president has been impeached and removed from office. Two, however, were impeached they are Andrew Johnson and Bill Clinton. Here’s how the impeachment process works. To impeach someone is simply to accuse them, in the regular courts it is called an indictment. Being indicted or impeached has no penalty with it. There must be a trial to impose a penalty, that’s the way our system of justice works and few understand that. To start the process of impeachment a bill of impeachment must be introduced in the U.S. House of Representatives. The house then acts like a grand jury would in the regular judicial system. It hears whatever evidence there is and then votes on whether to formally accuse the individual. It only takes a simple majority in the house to impeach or indict but that does nothing other than mar the defendant’s reputation. The next phase of the process is the trial. The evidence from the house and other new evidence may then be taken to the U.S. Senate where a trial is held to determine the guilt or innocence of the party being tried. Evidence is presented, a defense is mounted and then a vote is taken. If two-thirds of the senate votes to convict, the President is removed from office and the Vice President becomes President unless, of course, both have been indicted, tried, and found guilty. In that case, the Speaker of the House is next in line to be President. Again, in all of our history, no President has ever been impeached and convicted. It is speculated that Richard Nixon might have been, but he resigned before an impeachment could even take place. 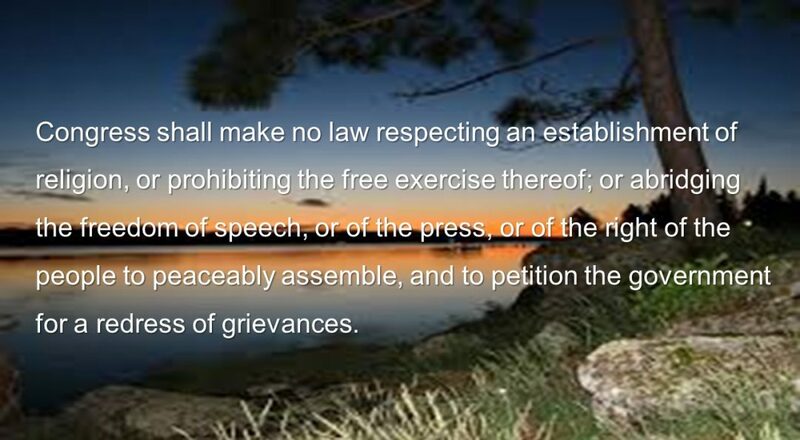 Posted in The constitution.Tagged accuse, convict, FBI, guilty, high crimes and misdemeanors, indictment, innocent, Presidents, treason, trial, Trump, U.S. House, U.S. Senate.